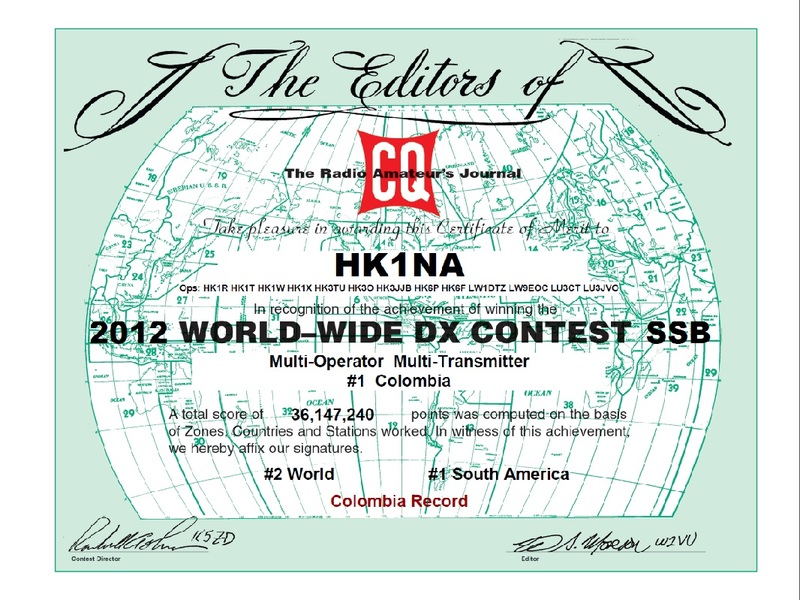 We are pleased to announce that online certificates are now available for CQ WW DX Contest 2012 and later. All participants may download a certificate in Adobe pdf format and print it on their own computer. The Adobe Reader software is available for free download. You can view certificate for any entry by going to the online score database, select the mode, use the filters to select the desired call or category, and then clicking on the [Cert] link at the right side of the score line. The paper versions of the CQ WW certificates are a large size (9″ x 12″) that is not compatible with most home printers. The Adobe Reader software can resize the certificate for printing. For convenience, we also offer the option to download the certificate in the correct size for American Letter (8.5″ x 11″) or in the International A4 (210 mm x 297mm) paper. The certificate image is at a high resolution for quality printing. This makes the pdf files about 5.1Mb in size. Certificates will show the call, operators, category, and score for the entry. If an entry was in the top 20 of the World, Continent, or Country, that information will be shown as well. If a score is a new all time record for the category and country, that fact will be shown in Red text. The record is calculated from the scores in the database (currently 1998-2013). Logs that were classified as late (received after the deadline) are not eligible for an online certificate, but are counted when calculating the order of finish. Thanks to the continued efforts by Barry, W5GN, we plan to continue mailing paper certificates to the top scorers in each area. The online certificates are provided to give all participants the opportunity to display their success in the contest. Special thanks to Tom, K5TM, for his assistance in developing the code to make online certificates possible. Thanks to CQ Magazine for providing the certificate artwork.